A limited water supply is predicted west of the Continental Divide, according to the USDA Natural Resources Conservation Service (NRCS) National Water and Climate Center (NWCC) data in its first forecast of 2014. The NWCC also predicts normal water supply east of the Continental Divide and will continue to monitor, forecast and update water supplies for the next six months. Monitoring snowpack of 13 western states, the center&apos;s mission is to help the West prepare for spring and summer snowmelt and streamflow by providing periodic forecasts. It&apos;s a tool for farmers, ranchers, water managers, communities and recreational users to make informed, science-based decisions about future water availability. "But that could all change by the end of the season. This early in the season--who knows? It always changes," Perkins said. The National Oceanic and Atmospheric Administration&apos;s (NOAA) Climate Prediction Center&apos;s seasonal forecast is calling for a milder and somewhat drier winter for much of the West. According to NRCS Meteorologist Jan Curtis there is a very small chance for normal precipitation on the West Coast. NRCS Oregon lead Snow Surveyor Melissa Webb said she isn&apos;t alarmed yet. "Oregon snowpack looks grim right now, but the season is young and storms are on the horizon," Webb said. "While concerned, we&apos;re hopeful for some recovery in the next couple of months." Although NRCS&apos; streamflow forecasts do not predict drought, they provide information about future water supply in states where snowmelt accounts for the majority of seasonal runoff. View January&apos;s Snow Survey Water Supply Forecasts map or view information by state. 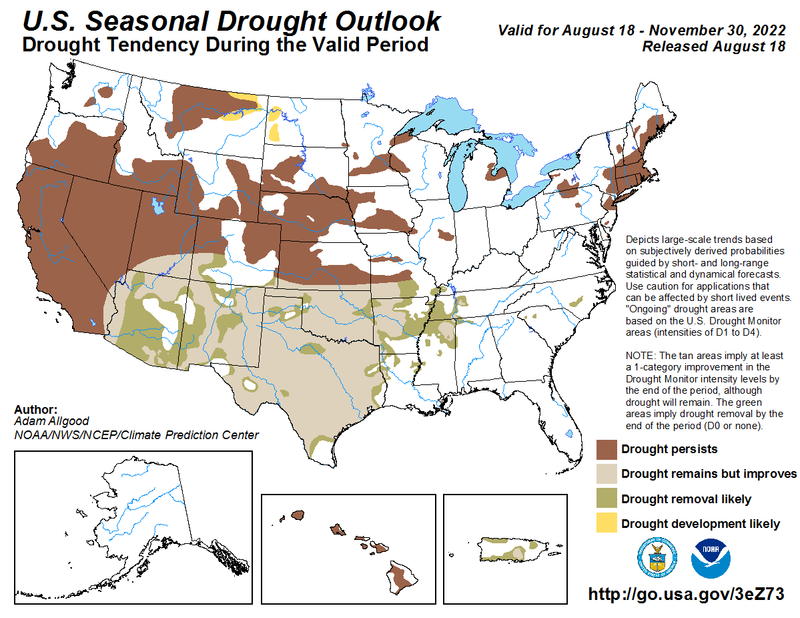 Other resources on drought include the U.S. Drought Monitor and U.S. Seasonal Drought Outlook map, which forecast drought conditions through March 31, 2014. For information on USDA&apos;s drought efforts, visit www.usda.gov/drought. And to learn more about how NRCS is helping private landowners deal with drought, visit the NRCS site. USDA&apos;s Natural Resources Conservation Service helps America&apos;s farmers and ranchers conserve the Nation&apos;s soil, water, air and other natural resources. All programs are voluntary and offer science-based solutions that benefit both the landowner and the environment.